Welcome to the resistance! Here we value Freedom of expression and religion. We respect all genders and concenting adult preferences. We recognize America is great because of the diversity of her people, and the shared value of brotherhood. Having achieved nuclear energy before other nations and winning the space race, we recognize the need for science to excel as a nation. We resist all efforts to undermine these principles and values. Omega Libris Patriot: the heavy symbolism of this emblem may not be readily apparent to the uninitiated. 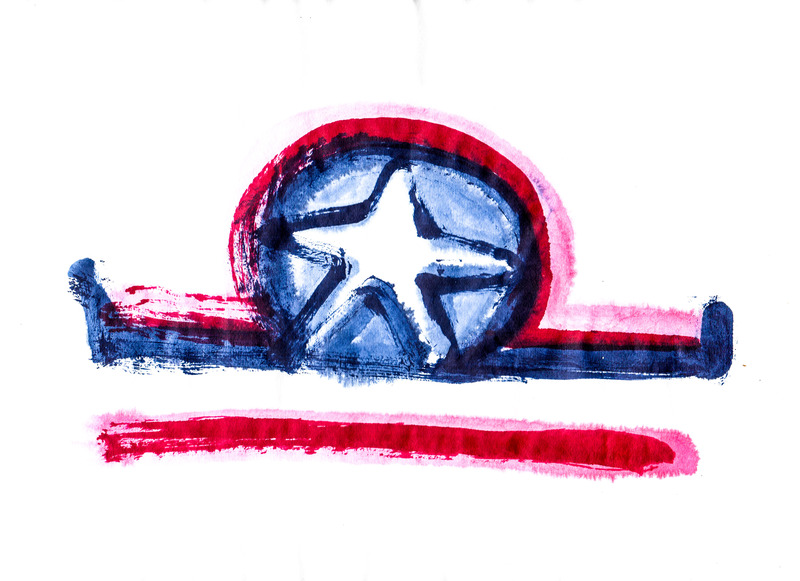 The American stars & stripes are the first thing we see, with the star representing light, energy, and goodness. Next there is the libra symbol representing education as Libris is Latin for book. Finally we see the Omega, which is used in electrical engineering as a symbol of resistance. Rendered in the sumi style, this original piece conveys the energy and urgency needed for this movement. Each piece is rendered to order and will bare unique qualities. Emblem is 8×10 on Japanese calligraphy paper.